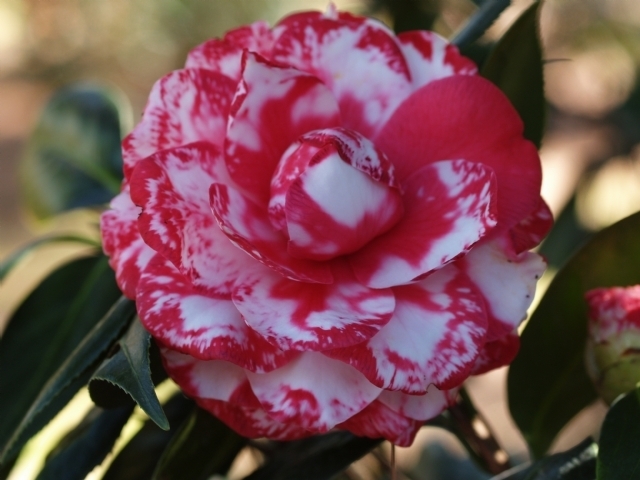 A virus variegated form of 'William Forrest Bray' - Formal double, dark red blotched white. Originated by W.F. Bray, Pensacola, Florida in 1966.